Michael Schumacher apparently got a visit from Archbishop Georg Gänswein back in 2016 and the holy man recently revealed his encounter with the German legend. However, Gänswein didn’t reveal any sensitive information, particularly to the status of the seven-time Formula One World Champion. Gänswein said that he’s doing so out of respect for the Schumacher family, Daily Mail reported. During his visit, the archbishop said that he told Michael Schumacher how he’s still the talk of the motorsports world even though he hasn’t driven on the grid of years. Upon seeing the man of the cloth, the racing icon’s face supposedly got “a little fuller” although this was the only prominent reaction that the archbishop noticed. Gänswein then recounted how exactly his meeting with Schumacher went down. “I first talked to Corinna Schumacher and her mother, then a therapist brought Michael Schumacher into the living room. I introduced myself and told him that I was a secret fan, that I saw his races a lot and that I was fascinated how a man can steer such a machine at such a pace and in any weather,” Gänswein said. The archbishop went on to say that he had the privilege of holding Michael Schumacher’s hands and look at the man that he admired. 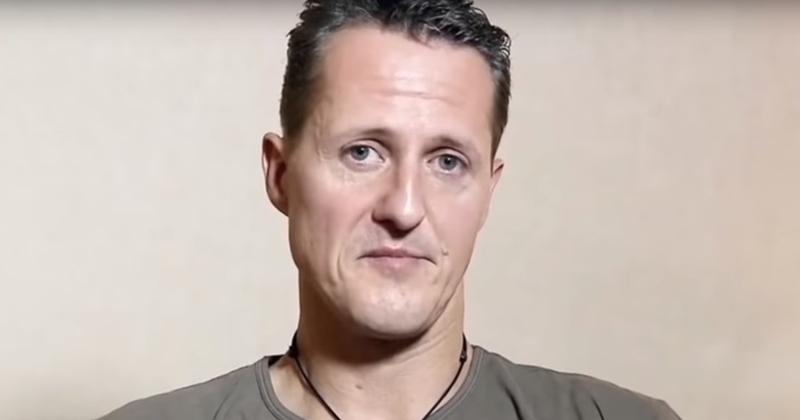 After his visit, Gänswein said that he drew the sign of the cross on Schumacher’s forehead and told the German driver that he’ll always be in the archbishop’s prayers. Gänswein’s fascination with Michael Schumacher is understandable given that the racing legend is indeed quite the devil when placed behind the wheel. Right now, he’s still the only driver that managed to win the Formula One World Championships seven times. However, Michael Schumacher’s record is being threatened by Lewis Hamilton as the Brit recently won his fifth championship. Analysts are claiming that by 2020, Hamilton would be in the same category as Schumacher. Skilled as the German legend is when it comes to racing, Canadian driver Jacques Villeneuve said that Michael Schumacher’s record is tainted with several questionable wins. Among them was experienced by Villeneuve himself during the Spanish Grand Prix back in 1997.